“Only a couple more amateur fights, then I should be ready to go by end of 2017 or early 2018,” added Anderson, who trains out of the Broadway Boxing Club in Mesa. Anderson appreciates the boxing culture in Arizona. Anderson appreciate everything he learned from the amateur system, as he eyes his eventual pro debut. There is no shortage of belief with Anderson, either, as he is aiming for legendary status in the sport. “What I’m trying to accomplish is, I’m trying to be the best in the sport,” said Anderson bluntly. “Many people are built into the spotlight at an early age and are hyped up over nothing. 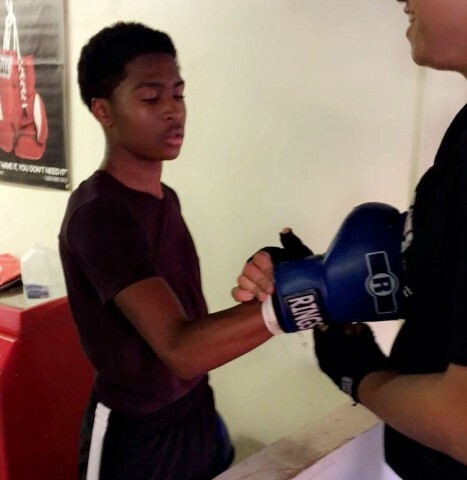 I want to show people my work ethic and my determination [that] I bring into the sport, and show people I have what it takes to become the next Floyd Mayweather or even better then Floyd. Stay tuned for more on Dashaun Anderson and his journey into the boxing field. In the meantime, please follow him on Instagram for more updates.